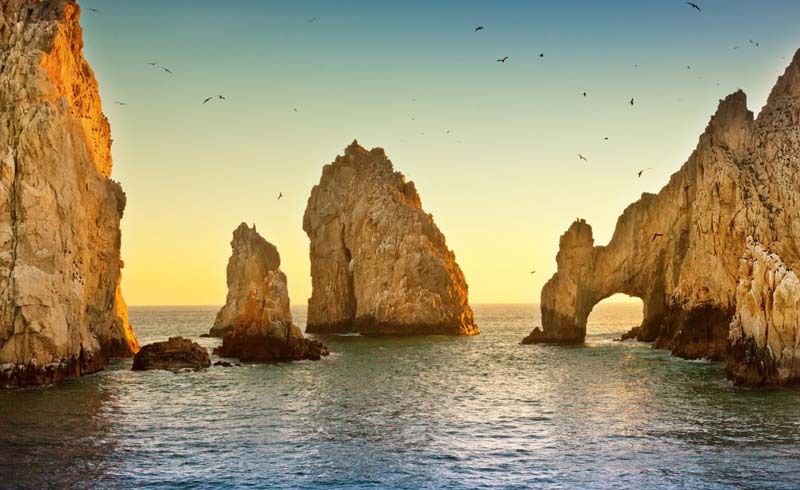 Yes, it has a reputation as spring break central, but Cabo San Lucas, on the southern tip of Baja California is also a nature-lover’s paradise, where the desert collides with turquoise waters teaming with wildlife. Spend all day kayaking with whales and then go out for a swanky gourmet meal once the sun goes down. And, should the mood strike, tequila poppers and table dancing are always an option too. Cabo Surf Hotel & Spa. You do not have to be a surfer to enjoy this lovely 36-room hotel. Between surf lessons, complimentary yoga, and the 7 Seas Seafood Grille (get the ceviche), you could easily spend your whole vacation here. $$$$. El Encanto Inn. This hacienda-style hotel is an oasis of flickering candles, bubbling fountains, palm trees and blooming bougainvillea in the heart of old town San Jose del Cabo. $$. Hotel El Ganzo. Behind the modern, tech-friendly design and a distinctly hipster vibe is a commitment to art and community. There’s a spa, an infinity pool, and Mexican beach party nights, but what really sets El Ganzo apart are the live performances and artists-in-residence who work and show at the hotel. Adults only. $$$. Flora’s Field Kitchen at Flora Farms ($$$.) Set in the middle of a 10-acre organic farm, Flora’s is like a well-lit, modern temple for local, sustainable eating. Everything, from the wood in the wood-burning oven, to the pork in the double-cut pork chop comes from the farm. Don’t want to leave? Rent one of the culinary cottages on the farm. $$$$. Manta A modern glass box at The Cape Hotel has views of the famous El Arco in the bay of San Lucas and serves upscale Asian-Mexican food (think black-miso fish tacos). $$$. The Office on the Beach. Eat Mexican standards like fish tacos and fajitas with your feet tucked in the sand at this colorful and popular hangout. $. Get in the Water. Snorkel, swim, kayak, and meet the wildlife in the crystal clear Sea of Cortez. 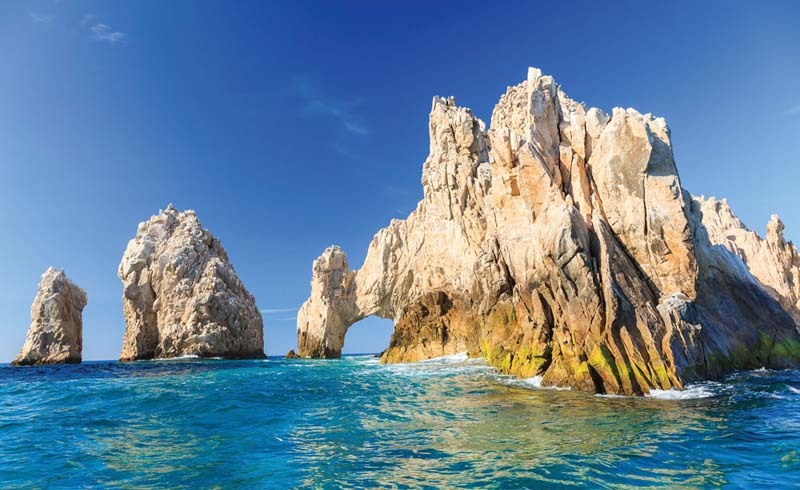 We especially like the full-day Sea of Cortez Adventure. $$$$. Whale Watching. From January to March protected lagoons along the Pacific Coast are home to thousands of gray whales. Whale Watch Cabo is certified by SEMARNAT, which governs safe, responsible, and respectful whale watching. From $$$$.